Park Press sets the standard for union printed banners. We have been exceeding the expectations of our clients for over 80 years, and we continue to grow through our 100 percent customer satisfaction rate. We are proud to be able to say that we are members of the Communication Workers of America, and we have the ability to place our union imprint on the materials that we produce. If you want to convey a message to union members and their supporters, you can do so when you engage our company to provide you with union printed banners. In addition to the fact that you send the right signals when you work with our company, there is another advantage. The union members that comprise our team are highly trained, seasoned, committed professionals. They didn’t just take a job at a print shop; they embarked on union careers, and this makes all the difference. These folks take what they do very seriously, and it shows when you see the quality of the union printed banners that come out of our shop. We print banners for many different clients, including decision-makers for retail stores, auto dealerships, political campaigns, sports facilities, government agencies, corporations, etc. They come in all shapes and sizes, and our design team will help with the concept if you do not have one already in place. You can choose one sided or two-sided union printed banners, and we can be engaged to coordinate the installation of the banners that you obtain from us. 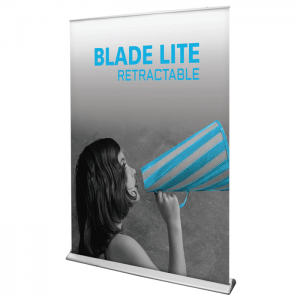 The union printed banners that we produce are beautiful, durable, and impossible to ignore. Though the quality is impeccable, we can offer affordable prices, because we have a very efficient, highly refined system. As we have stated, we can do the design work for you, and we can take care of the installation chores as well, so we provide a turnkey experience. We are very committed to top notch customer service from the first moment you reach out to us on the phone through to the completion of the project. Plus, we are always standing by to help if you have questions or concerns after you receive your union printed banners. If you are ready to get started, you can go to our contact page to send us a message, and you can speak with one of our consultants if you call us at 781-233-0315.